It is very hard to believe that we are into the 2nd week in Poland already! We arrived last Monday, Sept. 18 and moved into our new apartment in Poznan. It is only about a 15 minute walk from Adam Mickiewicz University. Poznan is a delightful mix of old and new - there is a wonderful Old Town Square which is very close to the old brewery-now renovated into a very sophisticated new mall - Stary Browar. First Night in Poznan - view from our apartment. Inside the STARY BROWAR Mall - many levels in this renovated brewery. On Wednesday, Sept. 20 we headed to Warsaw via train for the 3-day Fulbright Orientation. The above picture is a view from the University of Warsaw Library, where part of the meeting was held (looking towards the Old Town). Meeting my fellow-fulbriyhters was an incredible experience. We were 5 (old) professors, 18 English teaching assistants, and 16 student scholars from all over the U.S. The enthusiasm, creativity and talent in this bunch is quite amazing --- people are here studying/teaching everything from theatre, literature, law to- astronomy, physics and sustainability. We are stationed all over Poland, with larger concentrations of groups in Warsaw, Krakow, and Poznan - but also the towns of Rzeszow, Szczecin, Lodz, and others. The meeting was INTENSE (with lectures on all aspects of Poland), but a wonderful start of building a community away from home, thanks for the Fulbright planners in the Warsaw Office. 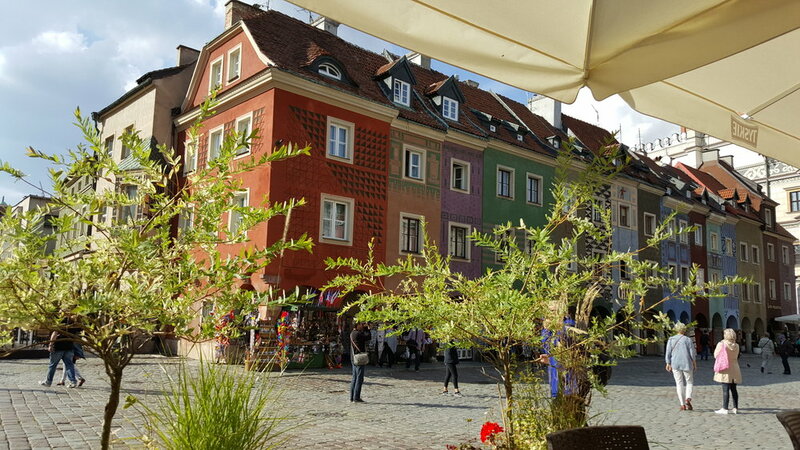 Poznan is in the Wielkoposkie region of Poland (central west). It was once under Prussian rule, but Poland will soon be celebrating 100 years of sovereignty in 2018. There are 5 of us here - me, Sasha(student scholar), and Deanna, Hannah, Olivia (all English TAs). We look forward to gathering often to share our experiences. See all of us below! We returned to Poznan late Sunday night, and now the fun work begins. I had my first tour of Adam Mickiewicz yesterday, Tuesday, Sept. 26, and was able to try out one of their beautiful Steinways (upon which I will hopefully be practicing soon! :) What a great welcome I have received - thank you UAM! ALL of us America Fulbright Grantees - a wonderful and lucky bunch! Stay tuned for a new blog series beginning tomorrow, Sunday, September 17 when we leave for my Fulbright year in Poland! I wanted to share with you my exciting news. I have received a Fulbright U.S. Scholar Award to Poland for teaching/research in the 2017-18 academic year. We will be going to Adam Mickiewicz University in Poznan, Poland and couldn't be more delighted. My project, "The Musical Legacy of Immigration," will include teaching Polish students about American music and continuing my Chopin research while in Poland. The Fulbright Program is the flagship international educational exchange program sponsored by the U.S. government and is designed to build relations between the people of the United States and the people of other countries that are needed to solve global challenges. This year marks the 71st anniversary of the Fulbright Program's establishment in 1946 under legislation introduced by U.S. Senator J. William Fulbright of Arkansas. Since then, the Program has given more than 360, 000 students, scholars, teachers, artists, and scientists the opportunity to study, teach and conduct research, exchange ideas, and contribute to finding solutions to shared international concerns. I am thrilled and honored to have this opportunity to use music - the universal language - as a vehicle for fostering goodwill, communication, and inspiration. This great festival http://chopin.smolna.org was celebrated for the 8th time on February 22-March 1, 2017 at the Nowy Swiat Muzyki http://nowyswiatmuzyki.pl. 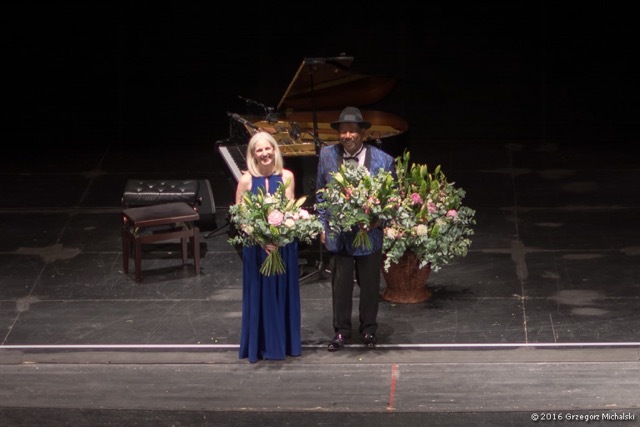 It was a complete joy to participate in such a widely varied program which featured daily events from 11:00 a.m. to 10:00 p.m., including over 110 performers on two stages, performing music for children, solo Chopin, chamber music and jazz in over 90 concerts- 5,000 audience members and participants. I was honored (and challenged) to play 4 different programs in 5 days! They ranged from my one-woman show REMEMBERING FREDERIC: A Musical Conversation Between Chopin and George Sand on Feb. 23, to a wonderful collaboration with two improvisational dancers Hanna Jurczak and Ksenia Opria on Feb. 25, to a jazz performance ("playing FOR Chopin") with Stan Breckenridge on Feb. 26, and concluding with a solo recital on Feb. 27th. See photos and hear excerpts below! 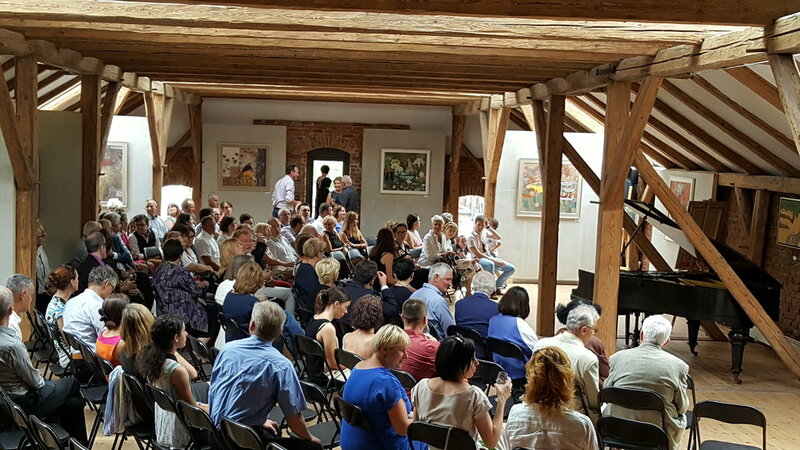 I congratulate the wonderful group of organizers and thank them for such a visionary way to celebrate the life and music of Frederic Chopin on his 207th birthday! Pam as Chopin/Sand after one-woman show with Polish violinist Mareusz Strzelecki, February 23, 2017. Pam with dancers Ksenia and Hania in am impromptu "Over the Rainbow," February 25, 2017. Pam and Stan Breckenridge, February 26, 2017.
a brief excerpt of "Song For My Father," four-hand piano with Stan Breckenridge, February 26, 2017. Pam playing excerpts from her the Chopin and Beatles pairs, February 27, 2017. February is the Month of Chopin! Scholars still have yet to decide on which was Chopin's real birthdate-- February 22 or March 1, 1810. Leave it to Warsaw's musical innovators at NOWY SWIAT MUZYKI to create an EIGHT day festival called CHOPIN BIRTHDAY CONCERTS (at ulica Nowy Swiat 63 in Warsaw). This is the 8th edition of this marvelous event featuring all-day programming. While I have been invited to perform at this festival before, this is the first year that it has been possible for me to go. I am thrilled and practicing a lot! I am honored and excited to be performing 4 different concerts in the 10 days I am there. In addition, my documentary film REMEMBERING FREDERIC: The Genius of Chopin will be screened, and I will be giving a workshop for pianists. So, if you are in Warsaw, please stop by. All concerts are free. 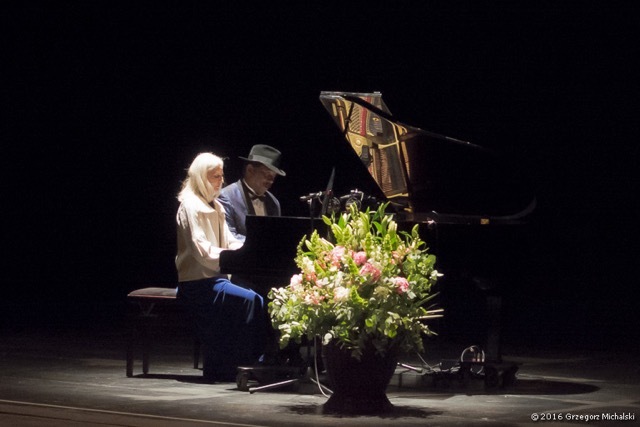 If you can't make it to Poland, come see REMEMBERING FREDERIC: A Musical Conversation Between Chopin and George Sand on Friday, February 10 at 7:00 p.m. at the Olde Presbyterian Church in Lancaster, South Carolina, sponsored by Lancaster Cultural Arts Center for free. Saturday, February 25 at 8:00 p.m. Nocturnal Concert featuring music of Chopin, The Beatles, and American composers Joplin, Gershwin, and others. 45 minute concert. Sunday, February 26 at 9:00 p.m. Jazz Concert featuring Pamela Howland and Stan Breckenridge Duo featuring their four-hand piano, and piano and vocal selections. 30 minutes, to be followed by the Stan Breckenridge Trio. Monday, February 27 at 7:00 p.m. Chopin Meets The Beatles: Songs of Love, Loss, and Longing. Howland’s innovative pairing of favorite Chopin masterworks with her own Chopin-inspired Beatles arrangements. 45 minutes, sponsored by the Chopin Society. A week ago yesterday we were saying goodbye to my Dad in a final service for him in Wisconsin. He had a beautiful life - 93 years. But, I will miss him for the rest of my life... his kindness, gentleness, generosity, humor, wisdom, and passion for doing the right thing. These are just some of the things he has left with us, and I am so grateful for that legacy. At the service, I played two very different pieces - one fairly upbeat, and the other mournful. The first was a Celtic medley I arranged based on "Amazing Grace," including some of his favorite Scots songs. The second was by the wonderful composer Paul Schoenfield, who I had met in 1986. The piece I played, "Achat Shaalti," the 2nd movement from Six Improvisations on Hassidic Melodies, is both mournful and peaceful, at the same time. 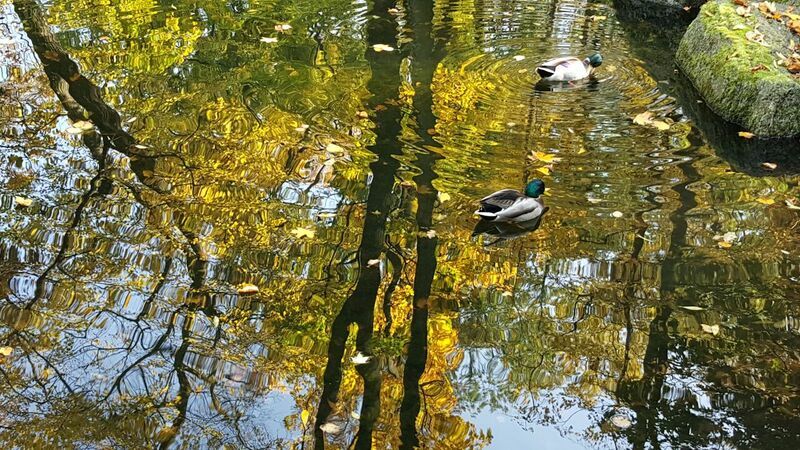 The title comes from Bible Psalm 27: "One thing I ask from the Lord, one thing I desire - that I may dwell in the house of the Lord all the days of my life, to behold the pleasantness of the Lord and to meditate in his temple." To say that music helps us in dealing with and healing our grief sounds so obvious and almost silly - but the truth is that it is one of the greatest tools that has ever been given to us for healing and reflection- a kaleidoscope of forgiveness, patience, non-judgement, warmth, and all-embracing comfort. It is whatever we need at the time to encourage our feelings - whether deep dark despair, bright hope, or bittersweet reminiscence. Recently, I read a powerful memoir by an author who said that when she was in the throws of addiction, she absolutely could not tolerate listening to music because it made her 'remember her heart' and feel her aloneness so acutely that she simply could not stand it. But as she was returning to her life and health, and in this process of putting her world back together, music now gave her immense comfort and connection with her feelings. I had never imagined anyone feeling like music wasn't their best friend or companion - a necessary and saving grace always; I was horrified by the bleakness of a world or a life without music....where would we be without it? I'm sure you have your own unique answer to that. I would like you to have a recording I made of the Schoenfield piece, and I hope that it speaks to you. Even though I have played this piece many times, both at concerts and funerals, the only recording I have is from way back in 2001 (I play this piece at a slower tempo by choice, these days!). You can find it at the top of my Sound Cloud page, along with some other music I recorded with my dear friend - the late, great tenor Richard Heard, who we also mourn this year. Last Concert in Poland 2016 in beautiful Paczkow. On Saturday, August 20 I had the opportunity to visit an area of Poland I had never been in - the southwestern portion very near the Czech border. We took a train from Warsaw to Opole and then were picked up and driven farther south to a beautiful estate owned by the Biernacki family. In the past 10 years they have painstakingly renovated a palace that was ruined, created a museum of science and technology displaying Mr. Biernacki's inventions (and classic cars) - , and created and built up a winery. But in addition, their most recent project was to renovate a large stable into an art gallery/concert hall. 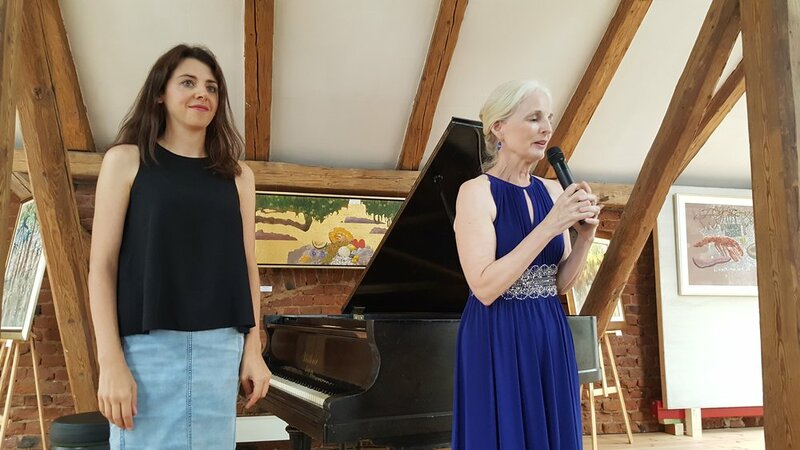 I had the great honor to perform the inaugural concert there, and it was a true delight...wonderful people of all ages, beautiful landscape, great wine, and the chance to share my music. Thank you Pan and Pani Beirnacki for your generosity and vision. I have left a part of my heart in Silesia! Please enjoy the photo gallery below which capture this remarkable Saturday - rehearsal, wine- tasting for guests (not for me before the concert! ), quick trip over the Czech border and to a Spa in Poland, and then the concert. Concert in Brochow - the church where Chopin was baptized. 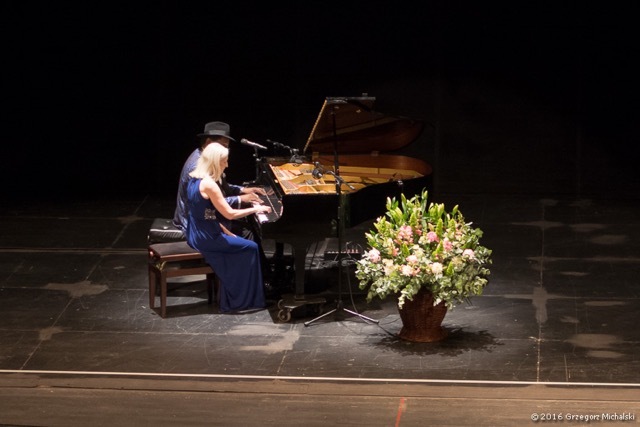 Yesterday, Sunday, July 31st, I had the honor of playing on a recital series that has been hosted by the Chopin Society of Warsaw for the last nine years. Every Sunday at 1:15 during the months of July and August, there is a recital held just after the church service. Yesterday was warm and beautiful as we headed west out of Warsaw for a beautiful one-hour drive into the country. 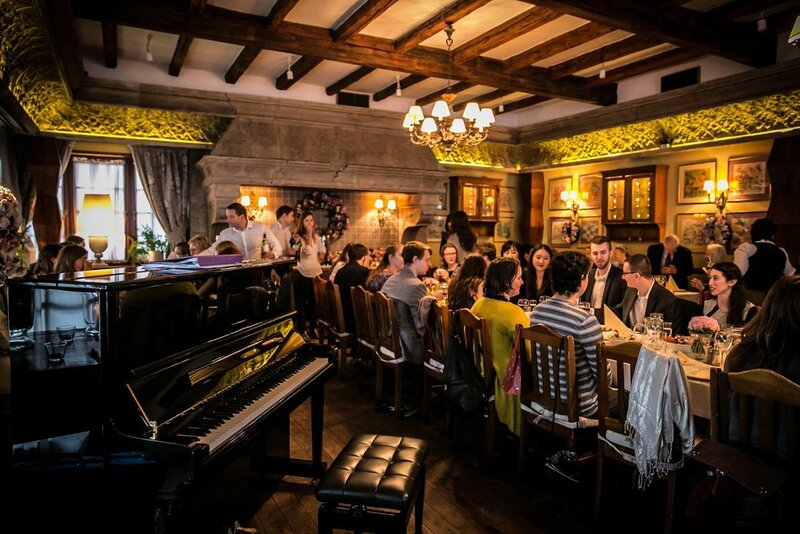 On the way, you drive right through the small town of Zelazowa Wola, which is where Chopin spent the early months of his life before the family moved to Warsaw. It always surprises me how much of a connection I feel when I visit places where Chopin lived here in Poland, and I know that many people feel this way. 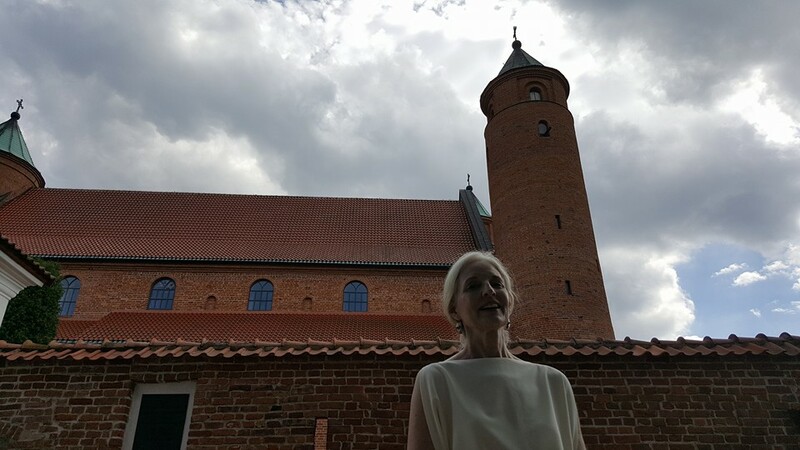 But, I couldn't help but wonder what my Grandfather (who was born fairly close by in the town of Zyrardow) would have thought of me being here and playing this concert! One of my favorite types of performances is a presentation that can reach a multi-generational audience. Last Thursday, July 28, at the American Corner in Radom, I was pleased to present such an event. It was called Heart and Soul: Chopin Meets the Beatles - and was about how Chopin's music influenced The Beatles and how The Beatles so greatly influenced American music and culture. Thanks to the wonderful coordinator of the American Corner, Karolina Adamczyk, a friendly and relaxed atmosphere was created for everyone there --- town's people, small children, and guests from the American Embassy in Warsaw. The efforts by the Embassy and U.S. Department of State in Poland to bring American and Polish people together, especially through culture, are wonderful and I am so happy to be a part of that. 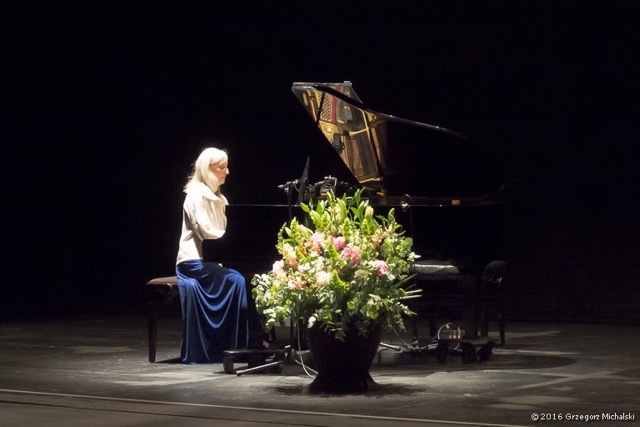 REFLECTIONS ON A BEAUTIFUL CONCERT EXPERIENCE IN POZNAN at UAM! 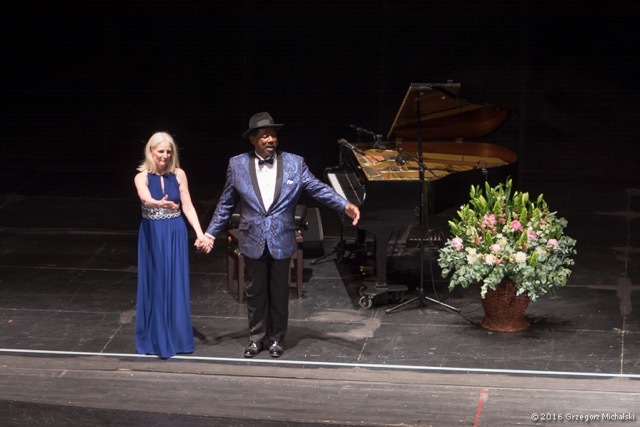 Thanks to the generosity and creativity of Katarzyna Dziubalska-Kolaczyk, Dean of the Faculty of English Studies, Stan Breckenridge and I were able to present A Musical Journey Of America for a highly enthusiastic audience on June 27 at the Opera House in Poznan. Poznan is a great city with many universities, but Adam Miczkiewicz University has the distinction of being the most prestigious, with the School of English being the largest center of English studies in Poland and all Europe. I would like to thank Dean Dziubalska-Kolaczyk and her staff for their wonderful hospitality and for creating such a magical evening. Here is an excerpt of the review of the concert (translated ) from an UAM publication, plus photos.